Toromont is a heavy equipment dealer that mainly sells Caterpillar trucks and equipment across the country. The company is known for providing specialized capital equipment and services to set of customers across a number of different markets. It operates through two business groups: Equipment group (Toromont CAT, Battlefield, Sitech) and CIMCO. Most of its businesses are industry leaders in areas they operate. Toromont CAT is one of the world’s larger Caterpillar dealerships, Battlefield is an industry leading rental operation; and CIMCO is a market leader in the design, engineering and after-sale support of refrigeration systems in industrial and recreational markets. New and used equipment accounts for 50% of revenues, followed by product support (39%), and rental (11%). The company has a presence in more than 140 locations across Canada and the United States. Ownership of an extensive branch and dealer network, fleets of service vehicles, and proven logistics and technology capabilities are Toromont’s strong competitive advantages. With more than five decades of existence, Toromont has a proven track record of steady growth. The company has established a strong footing in diverse markets that offer significant long-term growth opportunities. Toromont delivers specialized capital equipment to a diverse range of customers and industries. Toromont’s huge network of distribution channels, leading product lines and strong relationships with suppliers and business partners have been critical in achieving growth objectives. About 70% of Toromont’s revenues are from CAT dealership which represents a predictable source of income. Moreover, the company has a good diversity across geographies, customers and services. By industry, construction (37%) and mining (21%) are the largest. Toromont is growing organically and through acquisitions. The largest one being the acquisition of Hewitt Group of companies in 2017, which increased its reach throughout Eastern and Central Canada and Far North. As Canada’s largest heavy equipment dealer, the company is expected to benefit from an increasing footprint across Quebec and Atlantic Canada. Revenues should also grow given a positive long-term outlook for infrastructure spending across most territories and high demand for Caterpillar products nationwide. The rental market growth opportunity is tremendous as Toromont commands just 14% of the total market share today. Toromont owns a business with consistent revenues of over $1 billion annually. The combination with Hewitt group of Companies is expected to lead to almost $3 billion in annual revenue. Toromont is a Canadian Dividend Aristocrat and Achiever paying dividends since 1969 and increasing them for twenty nine consecutive years. The company has grown its dividends by 9% CAGR over the last five years. It last announced a 21% hike in its regular quarterly dividend. Toromont sports a dividend yield of 1.7% and has a reasonable payout ratio of 33%. The integration of Hewitt and the transition process is progressing well. The earnings accretion since the transaction closing has also exceeded expectations over a relatively short period of time. Significant investment opportunities in the form of rolling out the rental footprint exists, where most of expenses are incurred in the initial time period while revenues are earned in a recurring manner. 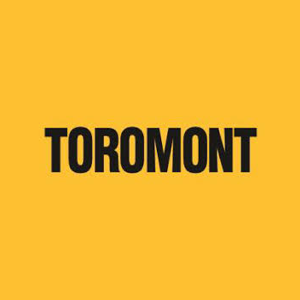 Toromont delivered a bottom-line growth of over 30% in the prior year. It also maintains a sufficient cash balance to meet its liabilities. A strong, well-capitalized balance sheet offers financial flexibility, and has contributed to the company’s long-term track record of profitable growth. The company is targeting an ROIC of 17%-25%. The acquisition of Hewitt represents a substantial growth opportunity for Toromont Industries and strengthens the company’s expertise and operations in mining, construction, power systems etc. The only major competition for Toromont Industries is Finning International in Canada TSE:FTT. Most of the Caterpillar dealer network is primarily operated by either Toromont or Finning. Finning International is the world’s largest Caterpillar dealer, having a large presence in Canada, UK & Ireland and South America. The company has been around since the last 85 years, and caters to a wide range of customers in various industries such as mining, construction, petroleum, forestry and power systems. Toromont operates in very competitive equipment and construction markets. Wajax and SMS Equipment are the other top competitors. Toromont’s market leading brands, product support, superior financial track record and focus on operational excellence paves the way for future success. Toromont is in a good position to leverage its position as Canada’s largest heavy equipment dealer, and benefit from increasing infrastructure and construction activity, equipment supply into the mining sector, and replacement opportunities at existing mine sites. The company has a sound track record and should continue its dividend growth streak in future.